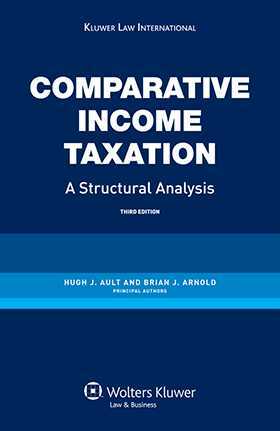 The purpose of this book is to compare different solutions adopted by nine industrialized countries to common problems of income tax design. As in other legal domains, comparative study of income taxation can provide fresh perspectives from which to examine a particular national system. Increasing economic globalization also makes understanding foreign tax systems relevant to a growing set of transnational business transactions. Comparative study is, however, notoriously difficult. Full understanding of a foreign tax system may require mastery not only of a foreign language, but also of foreign business and legal cultures. It would be the work of a lifetime for a single individual to achieve that level of understanding of the nine income taxes compared in this volume. Suppose, however, that an international group of tax law professors, each expert in his own national system, were asked to describe how that system resolved specific problems of income tax design with respect to individuals, business organizations, and international transactions. Suppose further that the leaders of the group wove the resulting answers into a single continuous exposition, which was then reviewed and critiqued by a wider group of tax teachers. The resulting text would provide a convenient and comprehensive introduction to foreign approaches to income taxation for teachers, students, policy-makers and practitioners. That is the path followed by Hugh Ault and Brian Arnold and their collaborators in the development of this fascinating book. Henceforth, a reader interested in how other developed countries resolve such structural issues as the taxation of fringe benefits, the effect of unrealized appreciation at death, the classification of business entities, expatriation to avoid taxes, and so on, can turn to this volume for an initial answer. This book should greatly facilitate comparative analysis in teaching and writing about taxation in the US and elsewhere.